TSA agents could probably start a pretty interesting museum with all the items they’ve seized from passengers in security lines. Now, however, those items won’t just disappear into TSA’s abyss of confiscated goods but can actually be mailed back to you. Airport Mailers has been around since 2003, but it’s in the midst of establishing a firm and growing nationwide presence, having expanded to 28 airports around the US. 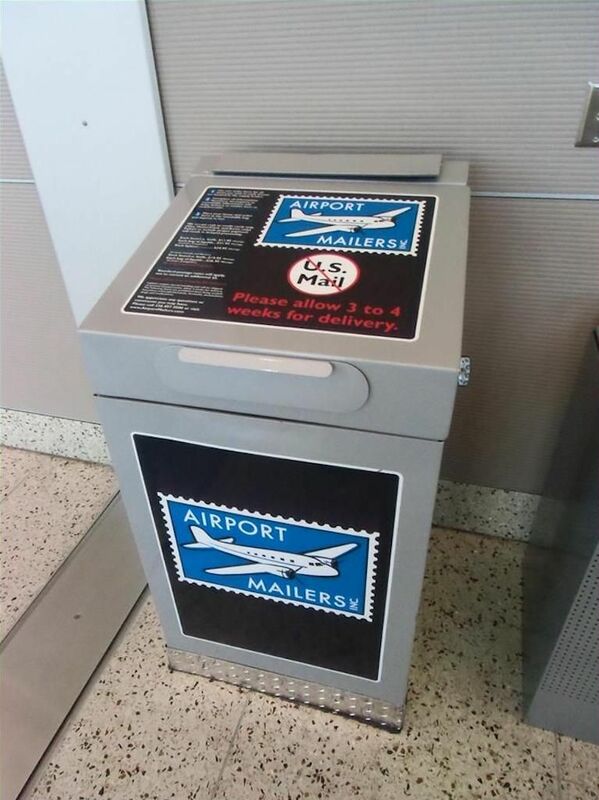 Airport Mailers offers travelers a way to safely send items home from the airport. If you’ve arrived at the airport and realized that you accidentally packed something that won’t make it through security, simply visit the Airport Mailers checkpoint, place it in a 6×9″ plastic pouch, pay the fee, complete a shipping form, and mail it home. Shipping fees are $8-9 for items sent within the US. Be aware that certain items, like lighters, may cost more. The service also does not ensure shipments, so there is a small chance your item could be lost in transit.